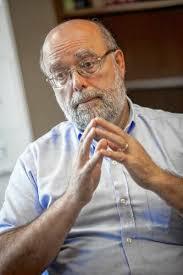 Dr. Thomas A. Andrew just retired as New Hampshire’s chief coroner and is embarking on a new career as a Methodist minister. Like his fellow medical examiners, who are dwindling in number faster than they can be replaced, he has been overwhelmed by opiod deaths. His approach to the crisis will be a one-on-one engagement with youth — he intends to work with the Boy Scouts and the Appalachian Trail Outreach Ministry — rather than preaching to the choir in church. 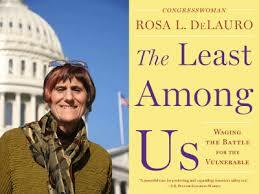 US Congresswoman Rosa DeLauro of New Haven, who has served Connectictut’s Third Congressional District since 1991, serving on a number of important committees, talks about her policy memoir The Least Among Us: Waging the Battle for the Vulnerable. Raised by Italian-American parents, she is still a practicing Catholic and reflects wistfully about the days when Catholicism was synonymous with service. She tells how, to counter misinformation about what she and fellow pro-choice Catholic legislators stood for, she and her Catholic fellow legislators had to get out in front of the issue and clearly define their values of faith and service. The Congresswoman will hit the following stops on her book tour this week.